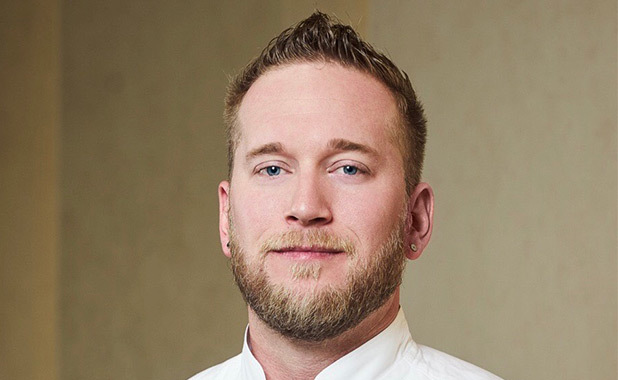 Chef Brandon Testi has been classically trained in the field of culinary arts from Riverside Culinary Academy in Riverside, California, and he graduated with honors in the top of his respective class. He has used his original and modern style in a variety of restaurants and resorts, starting at Angels Stadium in Anaheim, Casino Morongo in Cabazon, IW Club in Indian Wells, bluEmber at the Omni Rancho Las Palmas in Rancho Mirage, and Second Bar + Kitchen at The Archer Hotel in Austin, Texas. He has honed his culinary skills, creativity, and proficient techniques through the tutelage of many great chefs along the way. He has refined his artistic talent as an emerging chef over the past decade in the industry. His style of cooking tends to lean toward a fresh, clean, and contemporary California fusion approach. With a solid foundation of hard work and dedication, his resourceful ideas have produced eye-catching dishes while impressing many food critics with bold innovative flavors. His distinctive recipes have attracted attention from The New York Times, Idyllwild Town Crier, News Mirror, and Desert Entertainer to name a few. After years of hard work and education in various culinary settings, Chef Testi has returned to the desert with great excitement in working alongside Andrew Copley at AC3 at Hotel Paseo. He looks forward to the opportunity AC3 has given him to optimize his talents in the kitchen while working diligently with local suppliers. His immediate goals include establishing signature dishes and a memorable palate experience for guests. It is of the utmost importance that his fresh take on food paired with the continued success and rise of the “Copley” brand remains a seamless combination. Testi enjoys cooking, eating, attending sporting events, playing hockey, and spending time with friends and his family. He is a loving and devoted husband to his wife, Brier, and their children, Brayden, Beckham, and soon-to-be baby Brooks. Testi was born in Orange County, California, and now resides in the Palm Springs area.